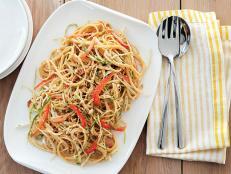 Make a lighter version of a takeout favorite with this recipe from Rachael Ray. If you're anything like us, all you crave for dinner on a Monday night is the salty convenience of takeout. Thanks to Rachael Ray and her 30-minute meals, you can make an Asian-inspired noodle dish at home in less time than it would take to have it delivered. 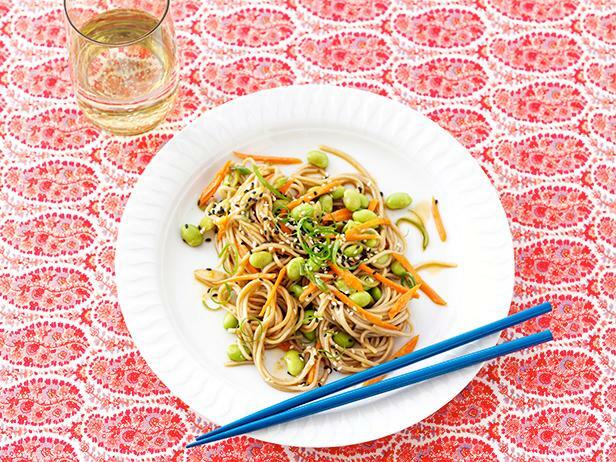 Rachael's Sesame Soba Noodles (pictured above) are as satisfying as they are easy. While most takeout noodles are fried, Rachael keeps them fresh and dresses them with a sweet-savory honey-soy sauce to boost flavor. It will keep the dish light without skimping on taste. Toss the dressing and noodles with crunchy bites like carrots and edamame before garnishing with sesame seeds for added texture. 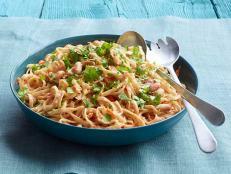 For Meatless Monday dinner tonight, try Food Network Magazine's easy Cold Peanut-Sesame Noodles for a refreshing pasta salad full of flavor and texture. 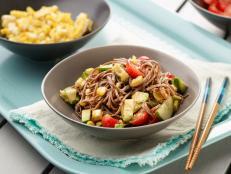 Try Food Network's Melissa d'Arabian's 20-minute recipe for Sesame and Peanut Noodles for tonight's Meatless Monday dinner. Toast the sesame seeds for extra nutty flavor in Food Network Kitchen’s Asian-inspired salad. Add creamy avocado, crisp cucumber and fresh corn for a variety of textures and bright colors. 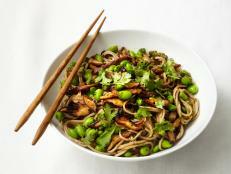 Get Food Network Magazine's easy recipe for Soba Noodles with Shiitakes and Edamame, and enjoy it as a quick Meatless Monday dinner. 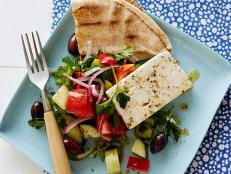 Get the recipe for Food Network's Rachael Ray's quick-fix Greek Salad, a simple, satisfying Meatless Monday dinner. 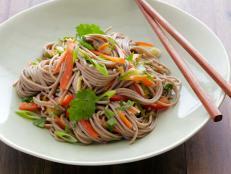 Learn how to make Bobby Flay's Buckwheat Noodle Salad this Meatless Monday. Stick with Food Network Kitchen's quick-fix soup recipe for flavorful results every time.